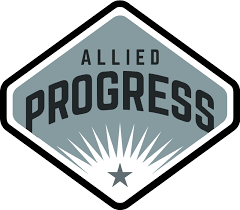 WASHINGTON, D.C. – Today (April 26), consumer watchdog organization Allied Progress released a chilling new report detailing how Representative Steve Stivers (R-OH) and fifteen other U.S. Senators and Representatives took thousands of dollars in campaign contributions from payday lenders within days of taking official actions to benefit the industry. The suspicious timing of these contributions and actions taken raise serious questions of a potential quid pro quo as Rep. Stivers considers whether he will vote to repeal the Consumer Financial Protection Bureau’s (CFPB) important payday lending rule. “With a business model that traps millions of hardworking Americans in seemingly endless cycles of debt each year, it is hardly surprising that polls show payday lenders are almost universally despised. What is surprising – even bizarre – is seeing Rep. Stivers tripping all over himself to help such an unpopular and unsavory industry,” said Karl Frisch, executive director of Allied Progress. “To call the timing of these contributions ‘mysterious,’ ‘coincidental,’ or even ‘innocent,’ is to ignore reality: in Washington, nothing happens by chance—campaign contributions least of all. Conversations always happen, whether in person at high-dollar, private fundraisers, or during Capitol Hill’s most frequent activity: call time. Stivers should be ashamed of himself – his constituents deserve and expect better,” he concluded. Rep. Stivers received $2,000 in campaign contributions from the payday lending industry the day after sending a letter to the Consumer Financial Protection Bureau (CFPB) “expressing concern” over the bureau’s work to rein in the worst abuses of the payday industry. Rep. Stivers received $1,000 in campaign contributions from the payday lending industry the week after voting against an amendment that would have protected the Consumer Financial Protection Bureau’s (CFPB) ability to hold payday lenders accountable. Rep. Stivers received $5,200 in campaign contributions from the payday lending industry just days after voting to cripple the Consumer Financial Protection Bureau (CFPB) by changing its structure and allowing Congress to meddle with its funding. Only 15% of payday loan borrowers are able to repay their loans on time. The remaining 85% either default or take out a new loan to cover old loan(s). More than 80% of payday loan borrowers rolled over (renewed) their loans into another loan within two weeks. More than one-in-five new payday loans end up costing the borrower more in fees than the total amount actually borrowed. Half of all payday loans are borrowed as part of a sequence of at least ten loans in a row. It is findings like these that propelled the CFPB to carefully consider over a number of years and eventually promulgate a tough new rule designed to protect consumers from payday lending industry-induced debt cycles. It’s no surprise that research from The Pew Charitable Trusts found Americans favor more regulation of the payday lending industry by a margin of 3-to-1. Yet, these important safeguards are now under attack by payday industry-backed politicians in Congress and CFPB “Acting Director” Mulvaney who took more than $60,000 in campaign cash from payday lenders before his legally dubious installation by President Trump in November.